See Frequently Asked Questions for details. Central line associated bloodstream infections (CLABSIs): These are infections in the blood that happen when a central line (tube that carries medicine and other treatments into a patient’s body) is used in a patient. Catheter associated urinary tract infections (CAUTIs): These are infections in a patient’s urinary tract (often referred to as a urinary tract infection or UTI) after a tube is placed in a patient that allows urine to pass out of the patient. Surgical Site Infections (SSIs): These infections happen in a patient’s body after the patient has surgery. Preventable Adverse Events can result in harm to patients in healthcare facilities. These events happen because of something that went wrong or was not done while the patient was being cared for. 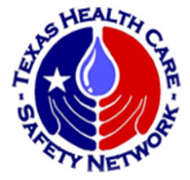 Texas law requires general hospitals and surgery centers to report certain events to DSHS. To learn more, click here or click on Understanding the PAE Data on the left side of this page. If you use assistive technology and the format of any material on our website interferes with your ability to access the information, please contact HAITexas@dshs.texas.gov or PAETexas@dshs.texas.gov or call (512)776-7676. You can search by facility name, city, county, or by a map.